While backup is absolutely strategic in supporting the overall availability of your business, limited IT personnel and capital resources can constrict your department’s ability to protect and manage mounting data volumes. Because personnel and capital resources are limited—and rigid, off-site tape repositories aren’t as compatible in fast-paced, fast-growth businesses—some organizations are considering cloud backup as a method with which to alleviate these burdens. 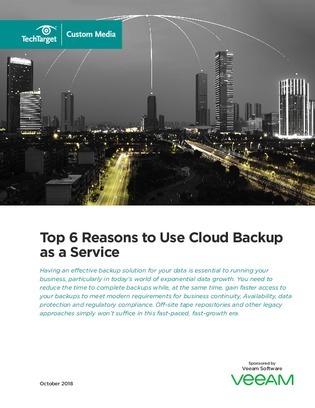 Read this custom white paper for six benefits cloud backup can bring to your organization, including the ability to maximize your IT resources.